This year's Coachella Valley Music and Arts Festival runs from April 12 - 21, 2019. 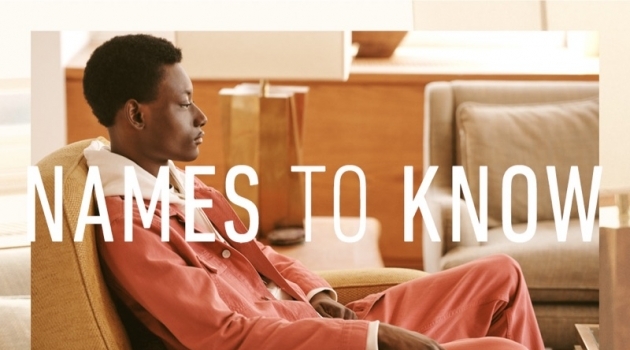 In preparation for the grand event, we curate a list of current styles, which are perfect for the music event. Coachella acts as a great testing ground for summer outfits. 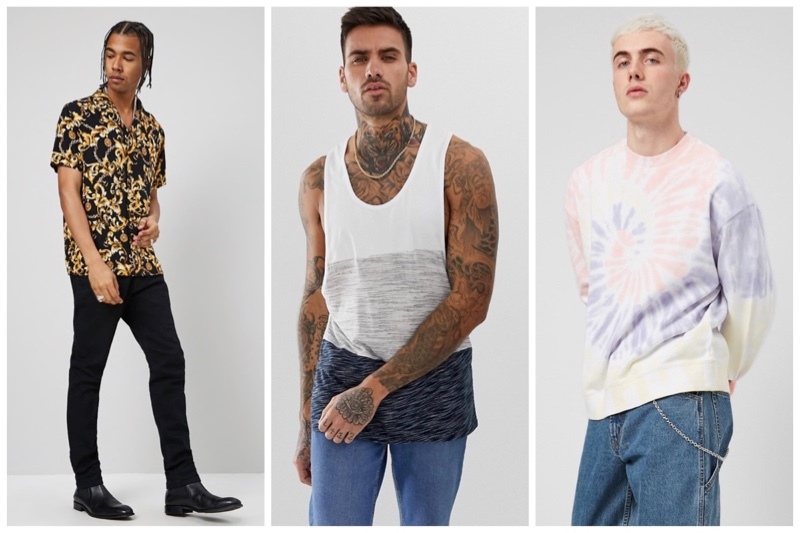 Approaching Coachella guys outfits, you'll want options for warm days as well as cool evenings. With that in mind, there are quite the number of pieces to consider. 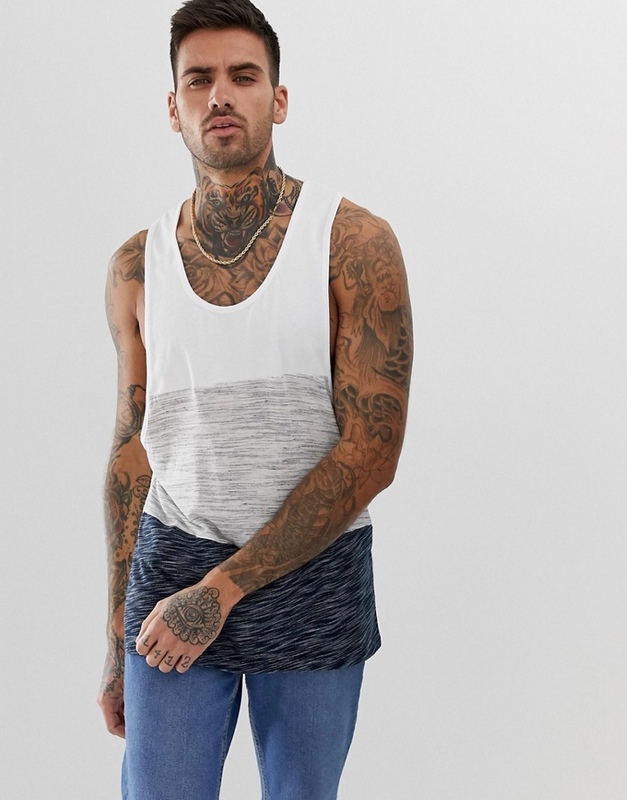 There's everything from casual tops and ripped denim to laid-back footwear styles. 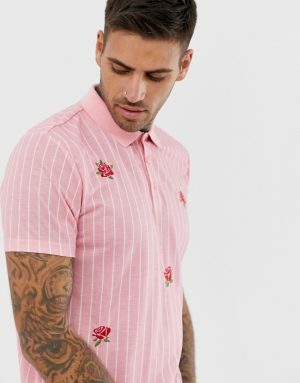 Let this be your ultimate style inspiration for mens style this year! 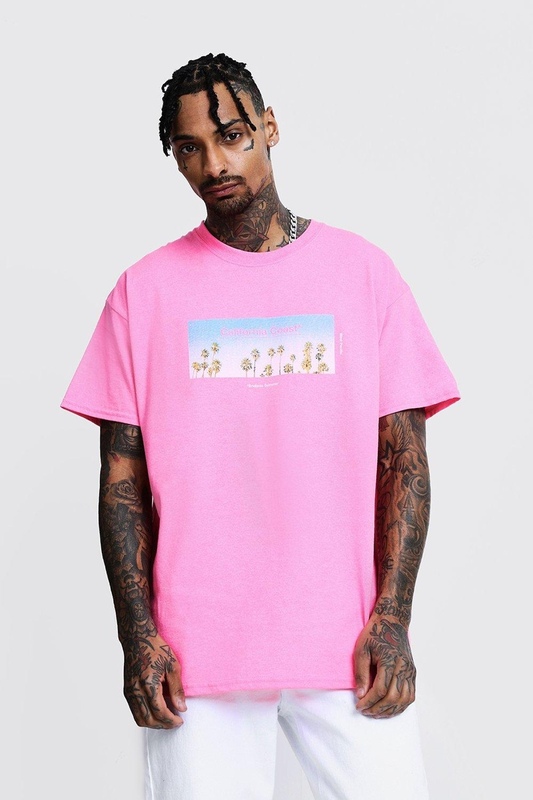 Channel California vibes in a pink tee with a beach graphic on the front. First things first. Create the foundation for your Coachella experience with an array of comfortable tops. 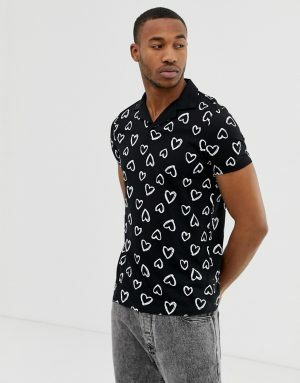 You'll want to focus on sweatshirts, button-up shirts, tanks, and t-shirts. Graphic fashions are currently on trend, so you'll find colorful tops from the likes of Boohoo. 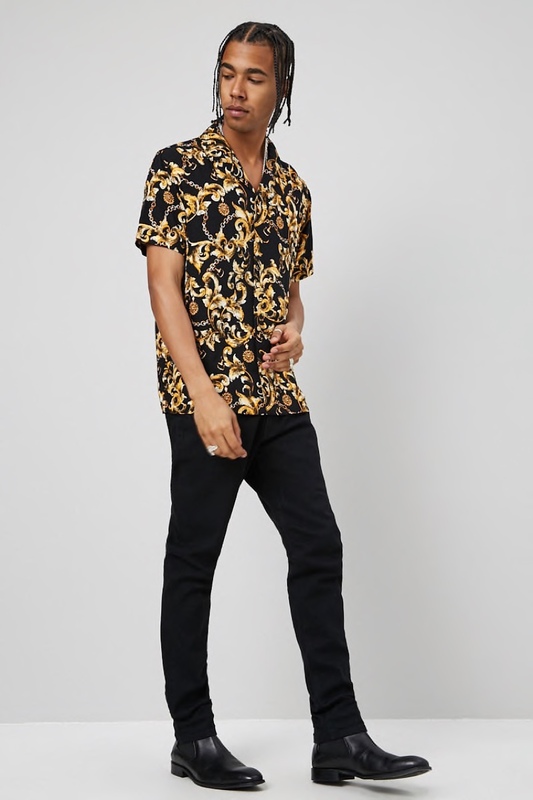 Hawaiian, baroque or tropical print shirts are also on our style radar. The bold shirts easily complement denim attire. 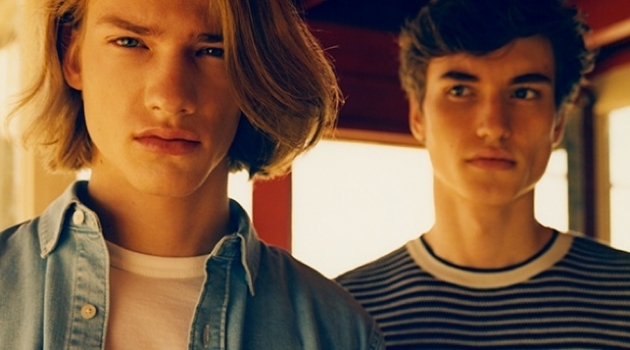 Ombré, tie-dye, and acid-washed treatments are big as well with retro-styled options. 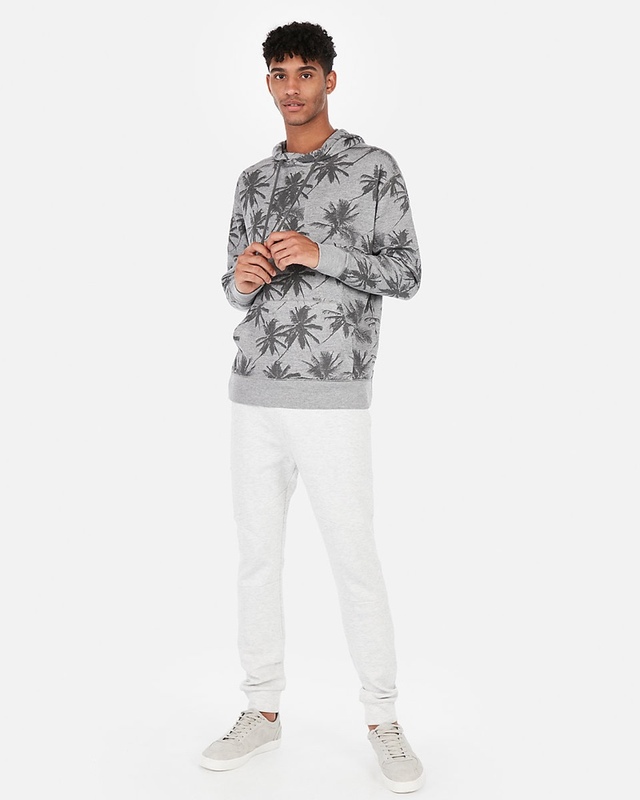 Sweatshirts also provide another great piece to base your outfit on. Wear your sweatshirt without a tee underneath for an effortless approach. If you are looking for a jacket, look no further than festival friendly styles. Standout options range from Forever 21's denim jacket is the ideal casual essential for the day-long event. 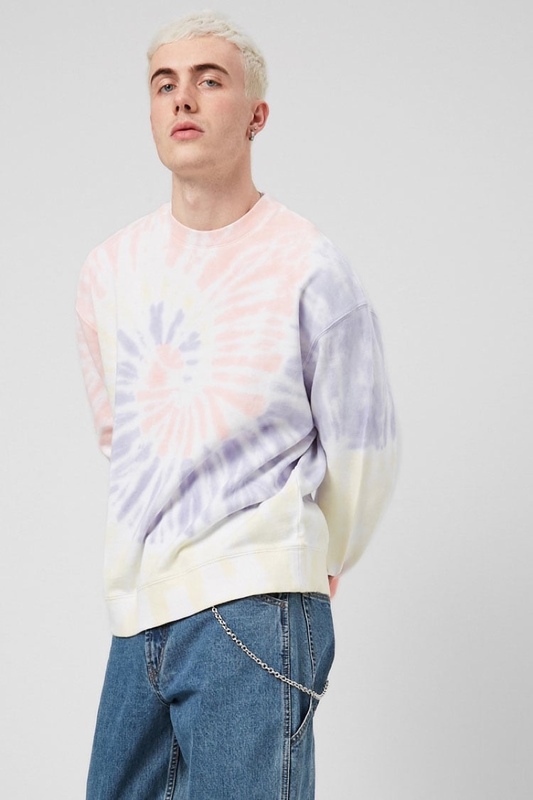 Take on the tie-dye trend with a soft sweatshirt that goes perfectly with jeans. Go big or go home with an ornate button-up shirt featuring a touch of gold. Take on a playful print in a moody color palette for festival season. Show off your guns in a tank top made with a cool color-block design. Take on the overall trend and denim shorts in one simple look. 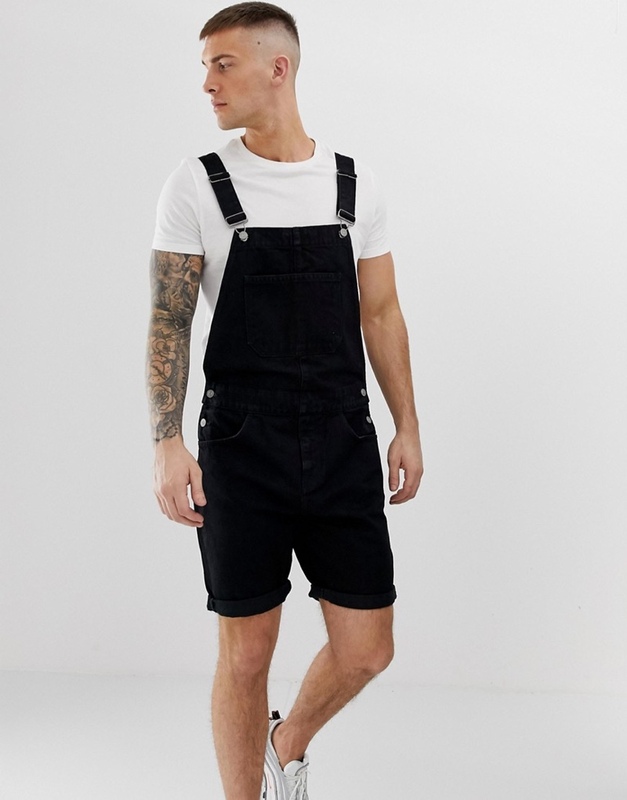 When it comes to modern denim, overalls or better yet shortalls are on the eventual rise with a comeback. 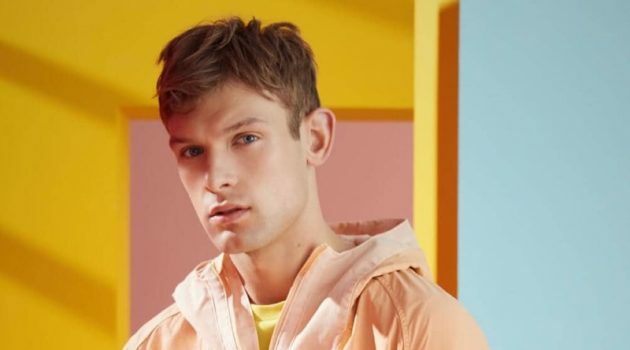 Brands such as Forever 21, ASOS, and Topman are hot on the heels of the trend with versatile options. However, overalls may not be for everyone. Alternatively, you can go casual in denim cutoff shorts for a classic look. You can find denim shorts in black and various blue washes. 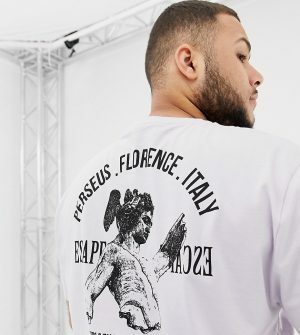 Also, the current trend for cutoff shorts circles around distressed and ripped treatments. 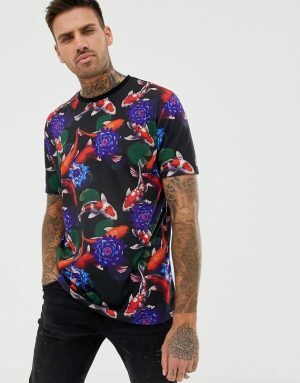 Don't forget to try on tie-dye styles as well! 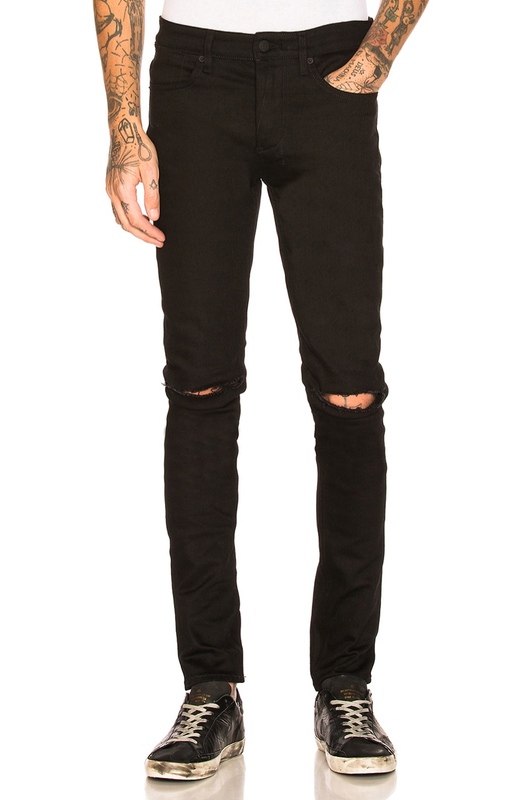 Skinny jeans provide another go-to staple, joining shorts with ripped and bleached details. Pair them with worn-in Converse sneakers or another timely staple for a great look. Keep it casual in a light denim jacket featuring contrast topstitching detail. 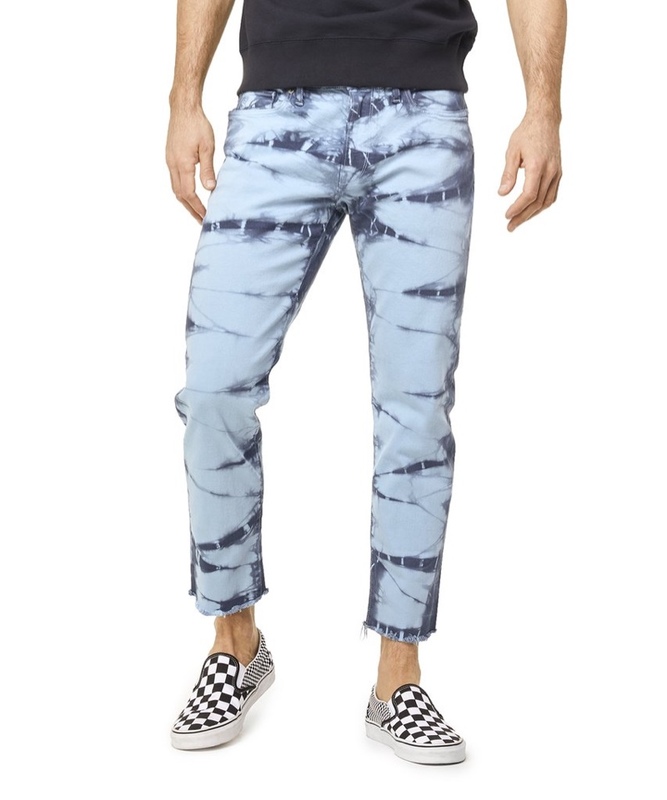 This Japanese stretch denim comes with a custom tie dye print for a cool look. Slim-fit jeans go perfectly with a graphic tee or printed sweatshirt. 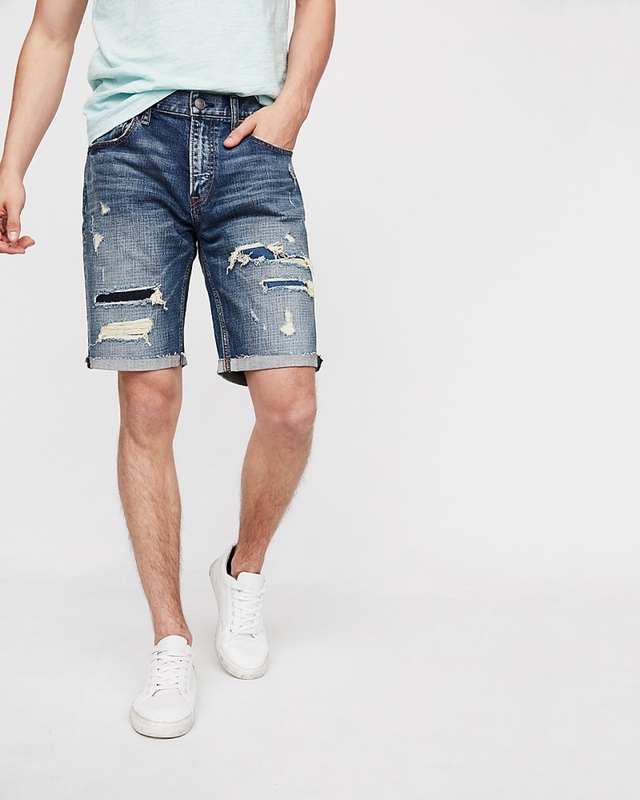 Made with distressed effects, these shorts are definitely on trend. 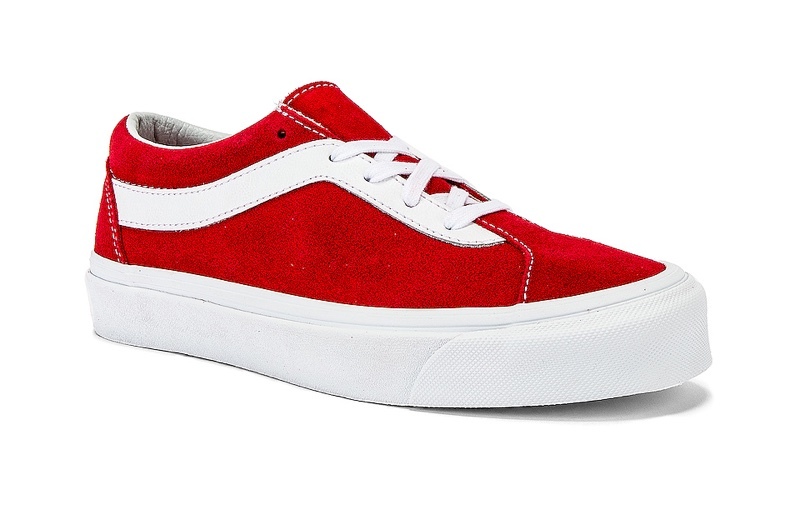 Keep it fresh in a red sneaker made with a red suede upper. Take hold of your Coachella look with the right accessories. 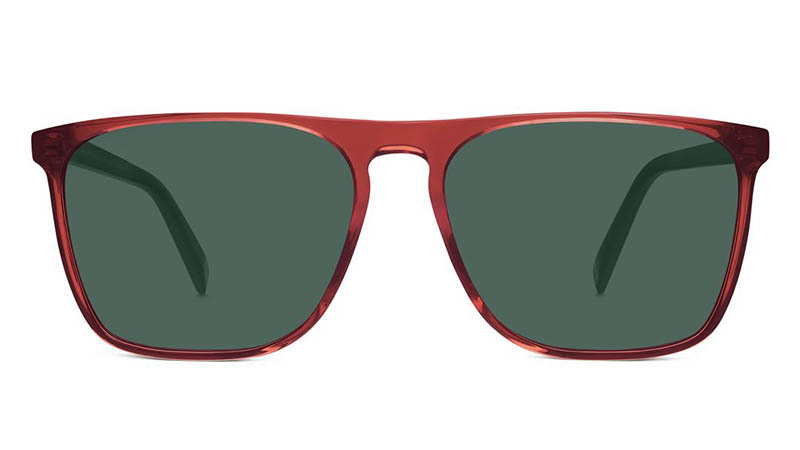 You don't have to spend a lot of money to finish your outfit when it comes to stylish sunglasses from brands like Warby Parker. 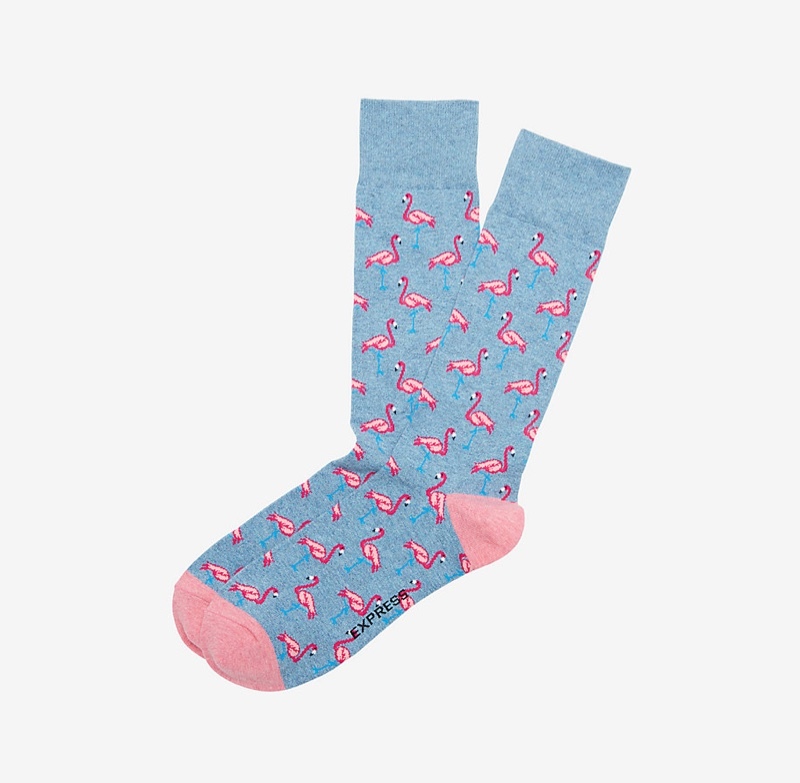 There are also plenty of statements to be made with the use of printed and patterned socks. Bringing utility to your fashion ensemble, don't forget to look at bag options with backpacks and drawstring bags providing endless options. Finally, you can look at casual shoes such as espadrilles or Vans to complete your attire. 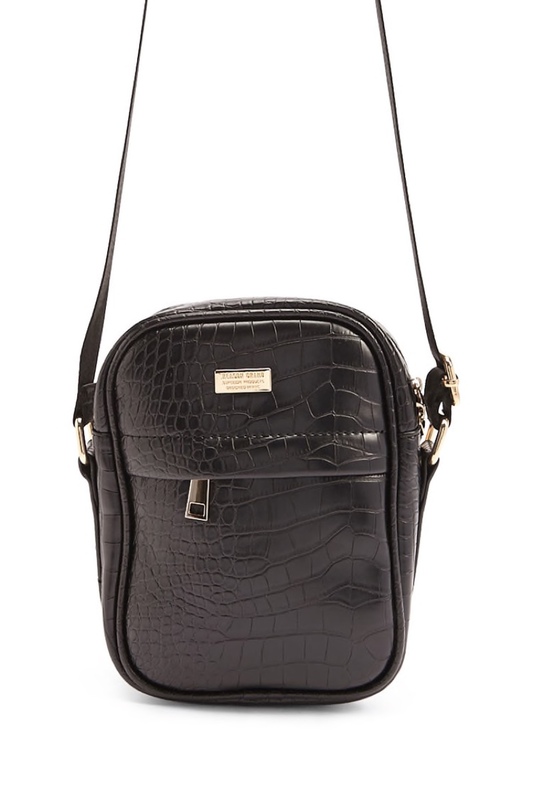 Carry all your essentials in a faux leather bag featuring an adjustable strap. Stand out from the crowd in a colorful pair of socks made with a bold print. Channel the 1970's in an oversized square frame made with a flat brow. 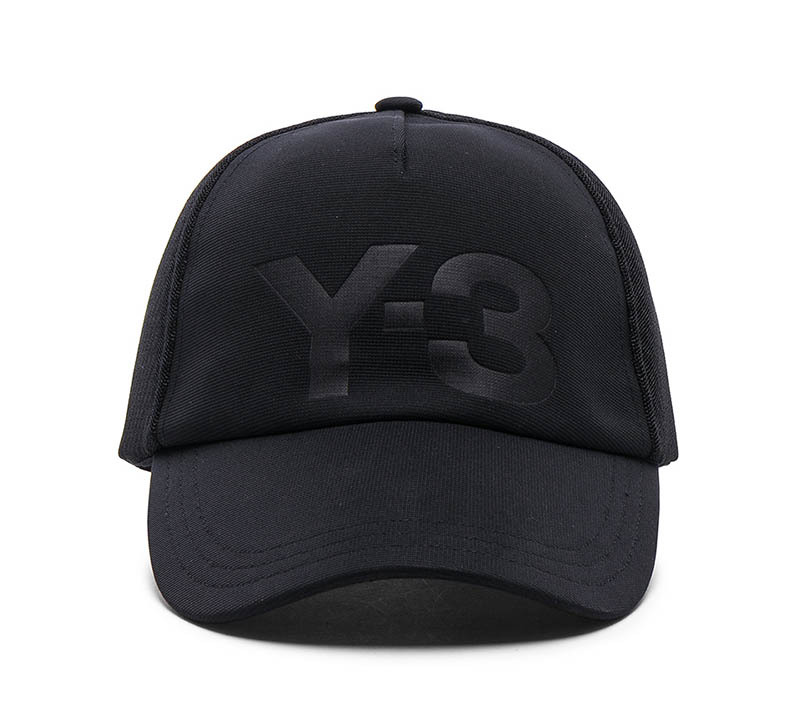 This black cap goes perfectly with any festival outfit.